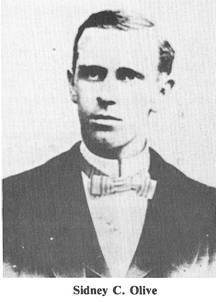 Born November 5, 1833 in Tennessee, Sid Olive came to Waco with his parents in 1852 when he was nineteen years old. In 1861, he traveled back to Tennessee and enlisted for the Civil War in which he saw extensive action but always survived until his luck nearly ran out at the Battle of Shiloh. There, virtually every member of his company was killed and Olive was taken prisoner. He managed to escape at the Battle of Vicksburg and returned home to Texas where he promptly set about building a lumber empire. Olive struck a partnership with A.J. Caruthers and the two opened Waco Lumber Company which would flourish for the next several decades and long after the deaths of both men. This allowed Olive to enjoy a great deal of privilege in early Waco as a leading businessman and he influenced various political or civic movements. In 1876, Olive joined up with John A. Sternenberg to create a new lumber company in Beaumont, Texas. His successes in Waco and the partnership allowed the major expense of acquiring the biggest sawmill anyone had ever seen in the region and the “Centennial Sawmill” got its name because Olive purchased it at Philadelphia’s big celebration for America’s centennial anniversary. This venture proved very fruitful and the Centennial Sawmill churned out lots of wood. It was clear that money was to be made in the forests of east Texas. In 1878, Olive joined the likes of John Napier, Sion Trice, John Camden West and other 92 men to form the Waco, Belton, and Gatesville Turnpike Company which established the first major road system linking those cities. Having learned from their success in Beaumont, Sternenberg and Olive again joined up. This time, they anticipated the extension of the railroad and built a new sawmill thirty miles north of Beaumont in the middle of the forest. This sawmil proved to be even more productive and was soon capable of a then unimaginable 65,000 feet of wood per day. An entire town sprouted up around the mill and it was named Olive in honor of Brother Sid. He grew to be very wealthy and all along, he maintained his residence in Waco where he put a great deal of his fortune into the local economy. By 1890, Sid Olive was eager to retire so he sold his interest in the Olive sawmill to his nephew. While this was a great achievement, he did not get long to celebrate. Though Olive had children of his own, he and his wife adopted her nephew, Fax Thornton, whose parents in Tennessee had fallen on hard times. Sid loved the boy as though he were his own child. In the summer of 1891, Fax was fourteen and helping with the transportation of a major load of gravel for the improvement of roads. The gravel came lose and a huge landslide covered the boy. It instantly killed him. Sid Olive was devastated. He arrived at the scene as quickly as possible, took charge of the boy’s body, and personally carried him all the way home to Tennessee for the purpose of a decent internment. He lived a quiet life after that and at the time of his death in 1906, Sid Olive was one of the wealthiest men in Waco. “Suddenly Tim felt quite alone as he started down the dirt road into the forest, carrying his suit case. But there was a full moon in front of him, and the music of all the forest insects, the crickets and cicadas, filled the night air with their song. It never occurred to Tim, though, that there were also predatory varmints, including wolves, bears and panthers, in the surrounding woods. After walking a quarter mile or so, Tim heard the chug of a steam locomotive, followed by a loud whistle, but he knew it was not the train he had just left. And intermittently the engine’s headlamp flickered to his left, because the nearby pine trees sometimes blocked his view. 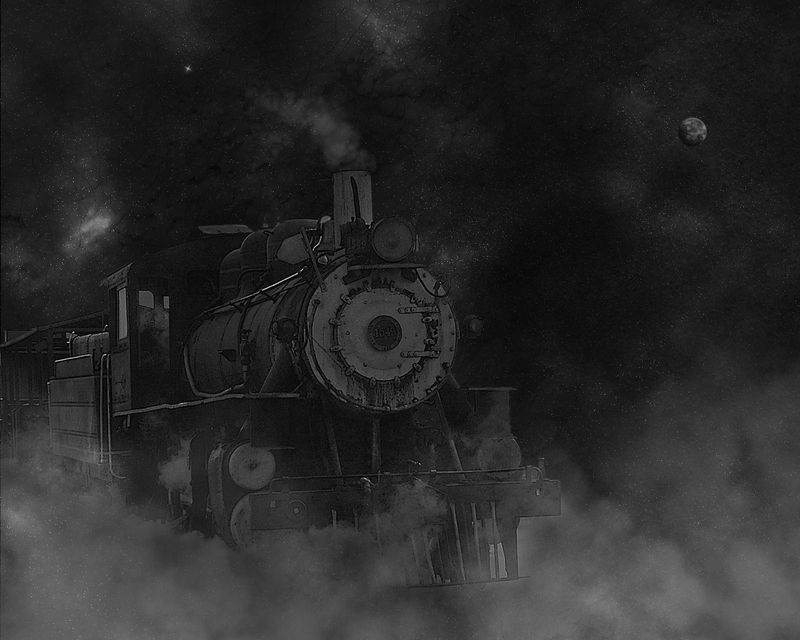 Suddenly, with the full moon beaming in back of it, a locomotive started across the dirt road a hundred yards or so ahead, and Tim even saw the profile of the engineer in the cab. And then he counted five loaded log cars before the engine and its hissing sounds disappeared into the forest. Bewildered, Tim kept walking until he saw the lights in the windows of a nearby “dogtrot” house. He knocked on the door…” – W.T. Block Jr.